Harrison has three lodging options downtown, which all have beautiful views of the lake (a motel and two bed and breakfasts). Vacation rental homes can be found from within the city limits to several miles from town. ​4 bedrooms, 5 bathrooms, sleeps 10. 110 N. Coeur d'Alene Ave.
Open year round. Fall/Winter rates begin right after Oktoberfest. Ask about off-season weekly rates too. Every uniquely decorated room has a beautiful view of the lake and its own private deck. All rooms offer mini fridge, microwave, coffee, satellite TV, air-conditioning and free Wifi. Several upstairs rooms have kitchens or kitchenettes. 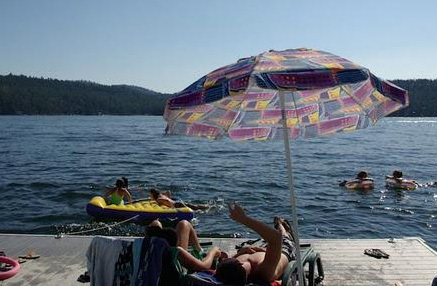 Boutique Bed & Breakfast Hotel on Lake Coeur d'Alene. 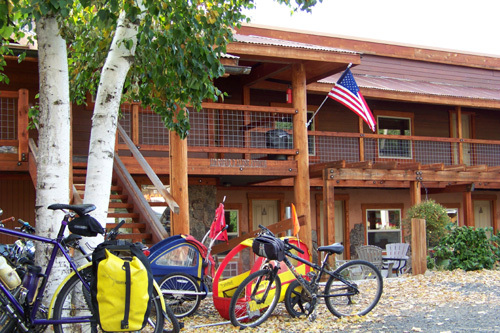 The spacious accommodations, located near rails to trails bicycle paths, are designed to take you back to a simpler time in life, yet provide today's modern conveniences. Lodging at Osprey Inn B & B includes three tempting breakfast options: continental breakfast from 6 AM - 8 AM,; Breakfast-on-the-Go, designed to meet your needs; or a leisurely sit-down meal at 8 AM served in the beautiful dining room, or on the porch overlooking the lake and the Trail of the Coeur d'Alenes. 11077 E. Blue Lake Rd. Award winning, family-friendly destination dude ranch providing western-style horseback riding and outdoor adventure since 2005. In addition to horseback riding, included activities are mountain biking, kayaking, hiking, fishing, archery, clay shooting, challenge course with climbing wall and two zip lines! 60 people can be accommodated per week, each stay being Sunday check in and Saturday check out. The dining includes three hearty and plentiful meals per day, family style buffet. There is a quiet evening offering a coursed wine dinner for adults while the kids have adventures of their own for the night. The lodge also has a lounge, gift shop, and library with wifi available 24/7. 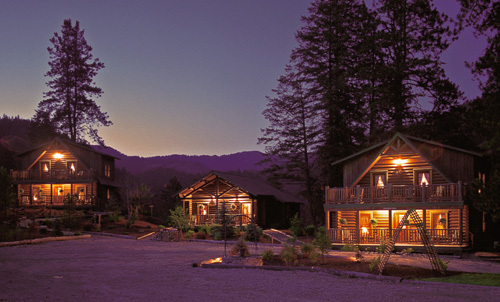 Other activities offered are fly-casting lessons, yoga, hikes, massage, daily evening entertainment, and campfires. The ranch is open June to October. Week long stays only. From Harrison take ID-97 north across the Coeur d'Alene River. Go right onto E. Blue Lake Rd for 5.4 miles, stay right up the hill to arrive at the driveway into the ranch. Reservations required. ​Do you prefer to camp? Check out the camping page for campgrounds in an around Harrison.